My oldest daughter’s bedroom is a comfortable and inviting space (and so much nicer than my room as a teenager! ), but there are still a few items that need to be selected. In general, I have taken a low key approach to my kids rooms. They are slowly coming together over time, with input from each child based on their likes and their personalities. I thought I would work through my remaining thoughts on this room (perhaps to spur me into action)….so this post does not contain any ‘after’ photos! Hopefully that will come soon. My oldest daughter has spartan taste and is pretty low key about décor. Her main request was to have blue walls – so we selected Farrow & Ball borrowed light, which is a truly beautiful shade of blue. Her room is north facing and gets very soft natural light. F&B borrowed light looks wonderful in the day and night (at night, the gray undertones come out) and is neither too babyish nor too sophisticated. We have purchased very few new items for this room. The chair and a half came from our old family room. The furniture on the wall (only the edge can be seen in this photo) is Ethan Allen circa 1980s – it was in my sister-in-law’s room as a teenager. My daughter is very attached to it and displays all of her music awards and camp memorabilia in it, as well as a collection of snow globes. The bedside tables were in the master bedroom in our old house, and the iron lamps were from a sample sale at the Mart (I liked the lampshades, which are made of antique music sheets). 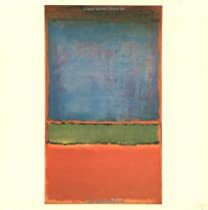 The watercolor was the very first painting I ever purchased – I love it as much as I did when I first saw it. My architect designed the built in corner desk for the room. The room is a somewhat unusual shape, as it is fit into both the roofline and a juncture of the house. The built in desk is my daughter’s favorite feature of the room; she a sophomore in high school, so she spends much of her time studying at that desk! The desk chair is from IKEA. Keith Arnold designed the roman shades, which are white linen with a tape trim by Samuel & Sons. The most significant purchase for this room was the area rug, which we bought right away as the room has hardwood floors, and quite a bit of floor space; a rug was needed to warm things up. Many of my area rugs (as well as my stair runners) were ordered from John Horton at Underfoot Design. His showroom is located just outside interstate 285 in Atlanta (John can brings samples and selections to your home or business in the greater Metro Atlanta area), and his prices are excellent. He has a large selection of in stock items, can source just about any line imaginable, and has the best installers in town. John also specializes in hardwood floor selection and installation. I picked out this geometric pattern by Stanton, as it has the color my daughter wanted (light blue) and she really liked the pattern. Although it is hard to see in this picture, there is a small amount of a flax color accenting the center of the squares/diamonds in the carpet threads. So now on to the bed. My daughter wants an upholstered head board, and given that the room has so much built in cabinetry, I think this will soften up the room and make it feel more finished (headboards always do that, don’t you think?). I have been collecting images of headboards on Pinterest (see my headboard inspiration board here, my bedroom inspiration board here), and it has become clear that my daughter gravitates towards tufted headboards. I have seen quite a few headboard with this style – tall and tufted, with a distinct edge on the left and right. This is a king size, so the tall design works well. I just saw this one on the House of Turquoise, design by Beach Glass Designs. Gray is very on trend for bedrooms and headboards now. This is a similar style to the first picture. A squared off headboard in a simpler style. I think the height of this headboard is just right. It appears to be a queen size. This one caught my eye – tufted, but with a gentle camelback curve. The nail head trim is a great detail. A bedroom by Phoebe Howard, the master of bedroom design. I love the feminine design of the headboard. It might be a bit fanciful for my daughter, but it certainly is beautiful. Note how the platform is also tufted. 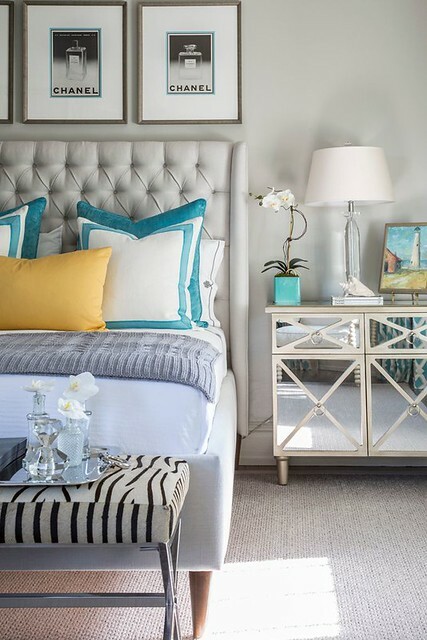 A pretty design by Griffin Balsbaugh Interiors, via House of Turquoise. This picture also caught my eye because it is a blue bedroom, with blue fabric on the headboard. 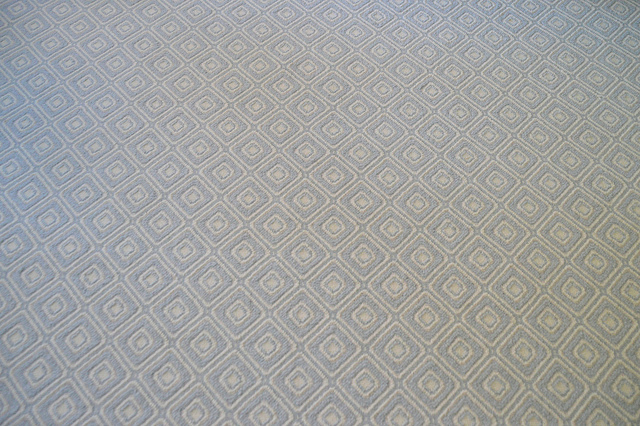 The color scheme of this room looks similar to that of my daughter’s room (although the fact that the rug is off white creates a different balance of the whites and the blues). Given that my daughter’s rug has so much blue, I have the feeling that the fabric on her headboard should either be the white of the roman shades, or pick up the flax accent in the rug. The style of this headboard is great – the double nail head trim is a nice touch. The tailored bed skirt is similar to what we will be doing. My daughter likes this style and shape of this headboard – clipped curved edges, tufted with a border. She is not wild about nail head trim, however. Also, this style might be a bit high for her, although the advantage of the height is that the tufting detail can clearly be seen. This also appears to be a queen size bed, so is a good comparison for proportions. Via Pinterest, source unknown. Overall, this is my favorite inspiration picture. 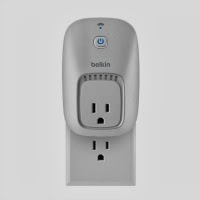 I love the shape and style – it still has a defined border, but none of the nail heads that don’t appeal to my daughter. I might go somewhat in between the height of this one and the height of the picture before this. Design by Collins Interiors. My daughter initially wanted a blue headboard, but is now leaning towards the same white linen that is used in the roman shades. Another option is to pick up on the flax color that is an accent in the rug. 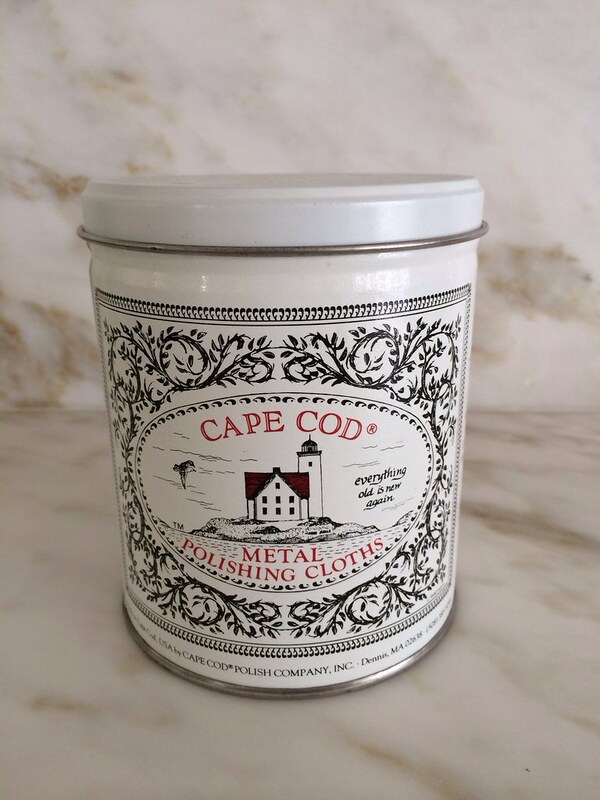 The white linen is being discontinued so we need to act fast if this is the direction we will take! We will have a custom tailored bed skirt made to match the headboard. So, what do you think? What’s your favorite style headboard? What color do you think that the headboard should be? What height do you think? Opinions are welcome! 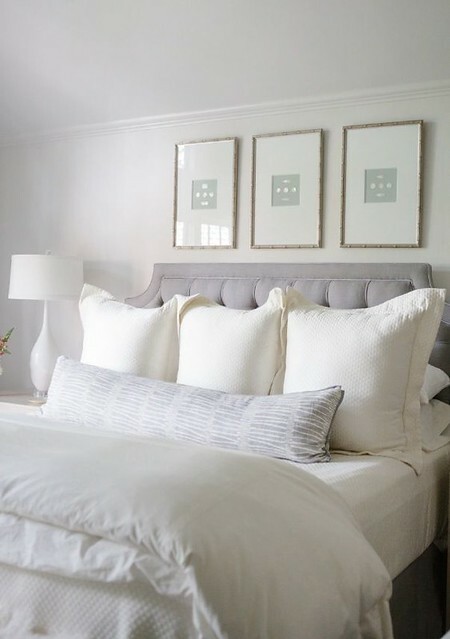 I am seeing a white tufted headboard like the last picture (but a little bit taller, use the picture 5 or 6 as guideline), with a blue welt that matches the tape trim on the shades. White tailored bedskirt with the same tape trim on the edge. I love that the little stuffed animal on the bed. It's a great touch, and shows that she is still a kid. Thanks for sharing. Oh what a beautiful post! Your daughter (as well as yourself) have excellent taste. I think whatever you decide on will be beautiful. Loving the sound of the white linen headboard against the blue wall with the curved corners and white welt. Such a pretty wall color and rug. Pinning both! Oh and the IKEA chair is great too! What a beautiful and serene space. 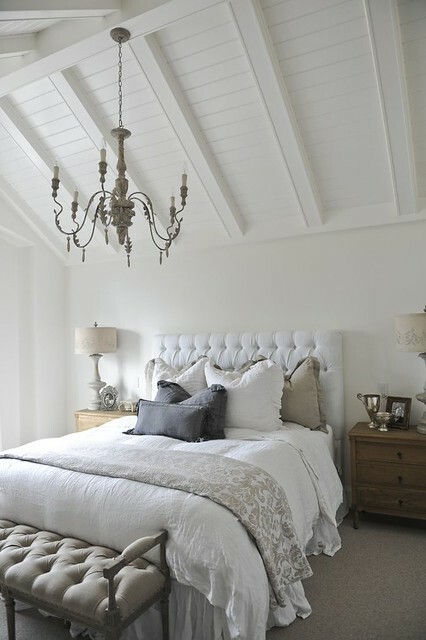 An upholstered headboard will be perfection and I love the shape of that in the last photo. I spy a guitar in the corner. Love that the lamps reflect a lyre and have antique music as shades. The most successful and interesting rooms are personal and reflect what the person lves. Go with your daughter's ideas. And post the after! Beautiful space architecturally, and so tidy!!!! Did you have to clean it up to take pictures or is she naturally neat???? My teen would trash that room within a week!!! I think a blue headboard would look great. It would be time consuming to find the right blue. White would look good too, but might get dirty. 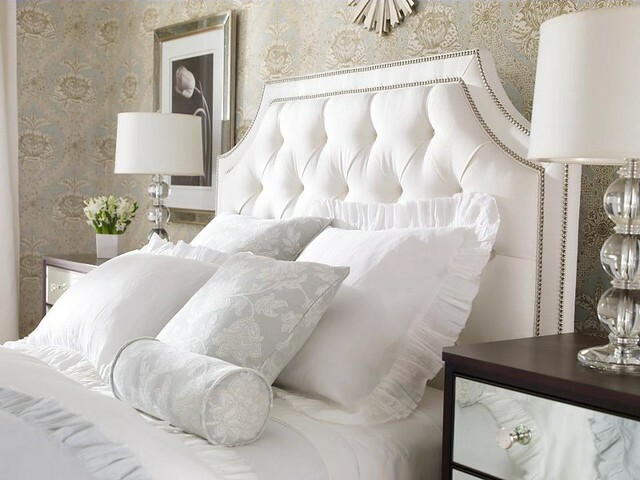 I LOVE the white tufted headboard but would be worried about keeping it clean. Every choice is stunning, Holly. Can't wait to see what you decide. hey!!! Have you ever heard of Carriage House beds? Actually a friend of mine Pat Dorche owned them and I believe sold the company. I believe he still makes beds though. I am serious Holly, they are the most incredibly built beds I have ever, ever purchased. VERY solid and VERY heavy. He used to be in the temporaries at the mart but not sure now. If you are interested, just e-mail me and I'll contact him for you. BTW, he will make whatever you design. It's about a 6 - 8 week turnaround and his beds are made in North Carolina. I think you should stay neutral...(talc?? )...on the color so it can stick around long after the blue is gone. Aesthetically, I think the room needs a curve BUT if she wants a more modern look the squared off edges would be great too and maybe just the fabric would be enough to soften it up. I would also add something to break up all of the white on the bedding. Looks beautiful and I love Stanton carpets! Love the built-in desk. I would do a flax (or other colour) headboard - white will get dirty and there will be too much blue if the headboard is blue. I like any headboards with a straight top not curved - that way you could place a mirror or art above. It never looks right when I see art above a curved headboard - probably just me though! My preference too is for the shape and style of the headboard in the last image above. The room will look great! Can't wait to see the After. Beautiful!!! Love your ideas! The bedroom will be gorgeous with the upholstered bedboard! Lucky daughter!! What a beautiful room...so peaceful. Since you are asking for opinions I would go with the your daughter's favorite tufted headboard and omit the nailhead trim. I think a flax color would work best as her bedding is white, and the flax would also play off the chair you have in the room in addition to the rug. One other thing I would consider is a bench at the foot of the bed! What a beautiful room...so peaceful. Since you are asking for opinions I would go with the your daughter's favorite tufted headboard and omit the nailhead trim. I think a flax color would work best as her bedding is white and the flax would also play off the chair you have in the room in addition to the rug. One other thing I would consider is a bench at the foot of the bed! I’ve been reading your blog for years and your headboard dilemma struck a nerve – I’m also looking for an upholstered headboard shape! 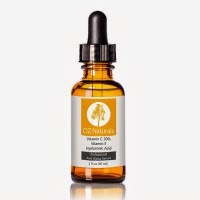 Here’s my feedback (personal AND professional, as I’m a designer in CT). First two headboards: The prominent height adds to their formality. They look too imposing and/or sophisticated for a teenage girl. Headboard #3: Overall it’s a pleasant style, but the edge is soft instead of tailored. I think you are a tailored girl! Green #4: It’s not high enough, and style says “retail”. No. #5 Phoebe Howard: Lovely, but I think this style will ultimately be a trend that passes. #6 by Griffin: LOVE IT! The soft curve is a bit feminine, classic, and tailored all at the same time! Only caveat is don’t use European pillows as they hide too much of the lovely headboard style. #7 & 8: Very nice as alternatives to #6. I think Griffin’s curve is more unique. The clipped corners have been seen a lot, but they do look nice. Hope that input is of value. Looking forward to seeing your decision! I just don't like the look of white headboards. I do like the idea of linen or grey as a choice in a blue room. I like the bed itself to be grounded in the room by being slightly darker than the bedding or walls. The aqua bed is so adorable, but I feel like that look will get tired quickly. The first inspiration shot from New England Home is perfect, the last grey headboard second, and the cute blue headboard third. While beautiful, the bed allows for the room's occupants to be the center of attention. Bonus points if you can come up with a bench that yummy. Your daughter's room is beautiful. It is definitely youthful without feeling childish. 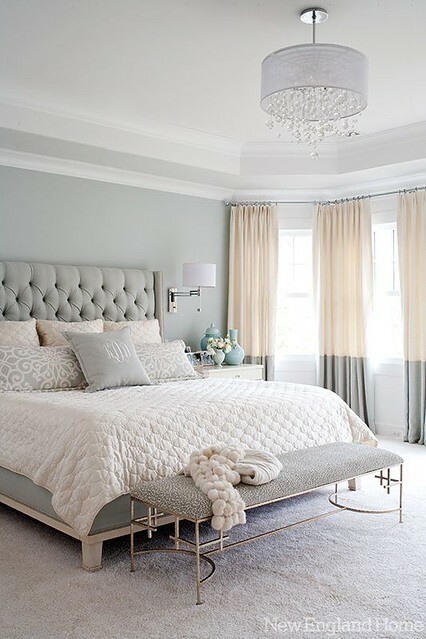 I agree with the thought of keeping the bed neutral… any of the tufted beds you featured would look lovely. What a beautiful serene space! The corner desk is so appealing. I agree with you...the last headboard is my favorite. One small thing to consider. The nightstands are a nice, classic design. However, in my opinion, the finish doesn't seem to add enough contrast to the large painted desk. It looks like a long wall with a lot of pale painted furniture...kind of like a long run-on sentence with no punctuation. Would it be an option to strip and then stain the side tables or paint them a color a bit deeper than the wall color? I think that would add a lot of interest and depth while using the good furniture you already own. btw forgot to mention--your home is exquisite!! I love your daughter's bedroom! 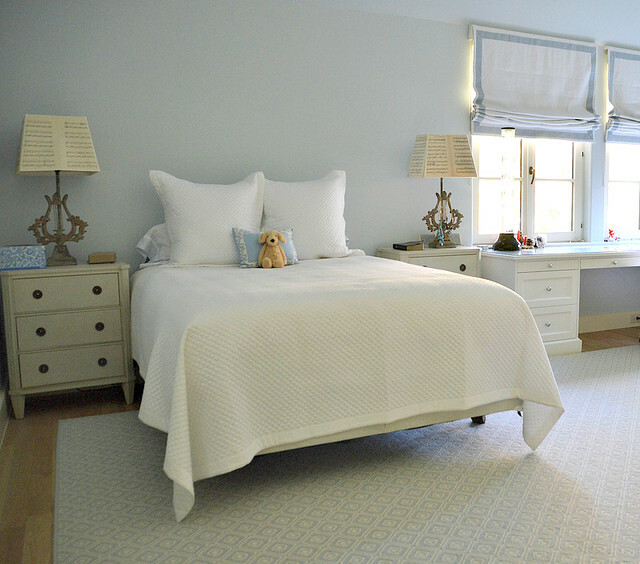 Love the soft colors and the Chelsea Textiles bed chests. (one of my fave vendors). I also favor your daughter's choice for headboard style. 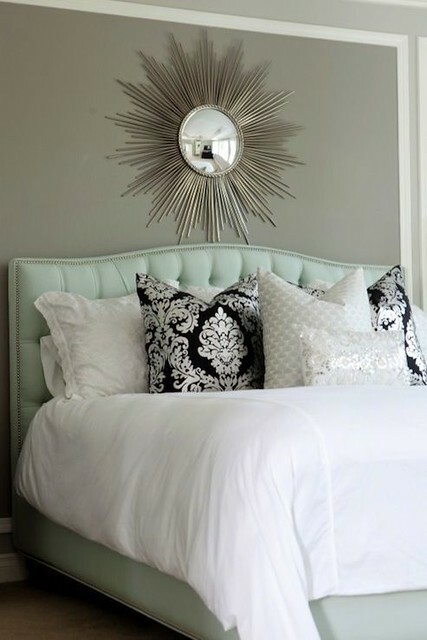 That is one of my favorite headboards, although I love the one above it with the nail head trim. The one higher up that is all white on white with the squared off headboard is lovely too. Well, they all are, but those are my faves. Thank you for the comments, I am enjoying reading them. I know exactly what some of you are saying about the side tables. When my new side tables arrived for the master bedroom, I put these old side tables in my daughters room, and I had the immediate feeling that it was a continuation of the long straight lines of the desk. Maybe some day they will go in the guest room. But it seems like just about anything would feel likea continuation of the desk, don't you think? Unless I did something that was more pedestal like. I just read the comment about mirrored demi-lune tables, that's a nice idea. I also love the idea of a simple bench. My daughter likes photography and we have been planning on framing some of her pictures and hanging them. What's not in the picture of the room is the big empty wall to the left of the bed! We just hung a nice rounded full length IKEA mirror (the Solange mirror) in the perfect place functionally, and were thinking about a bulletin board to go to the right of it. Remember, this is my daughter with spartan taste! She would be happy with just a bed. But, she will be headed off to college in just two and a half years, so I want to get on with finishing her room and making it a more comfortable place. Many, many thoughts for the kind insights! I like the idea of a rounded headboard with tufting. Probably a neutral natural linen color. A fun fabric that brings in blue and an accent color for the bench you are considering. 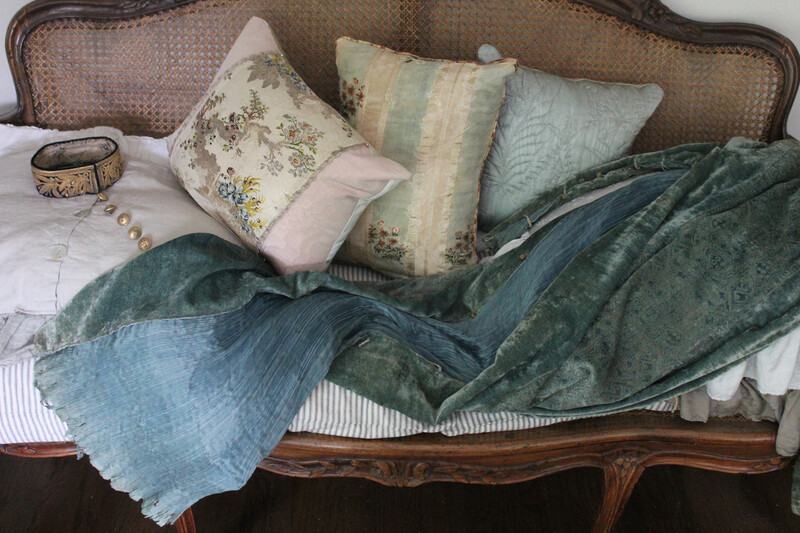 And a long pillow like in the last picture using the same fabric on the bench. Or, two 22" pillows in this fabric. Holly. I am inclined to go with one that has curves in it. With so many straight angles (windows, beds, rugs, desk, and dresser) it's nice to have some softness in the headboard. Hope your daughter realizes your care/love about her room are gifts from Providence. And you are wise enough to be matriarchal, creating a team with her. Neither controlling nor ignoring. A joy of mother/daughter you are sharing with us. Had my headboard made from one I saw on your site. You inspired it!!! The bedroom is looking so restful and beautiful. A word of warning though about fabric headboards, they tend to get marked by the oils in the hair, and if your daughter likes to sit up in bed to read, the oils on the back will also stain the fabric. This happened with in a few months of my parent's new fabric bedhead and they used a dark green and coral toile on theirs. Leather makes a much more durable surface and even enjoys having skin oils as it softens the leather rather than stains it and can come in any colour from pure white through to black. I like the upholstered head boards but I always wonder how one cares for them unless they are leather. I like to read in bed as I imagine many people do. I can just see the headboard getting very dingy from hair and body oils after a year or two. Of course you have a pillow behind you but I can still just picture this smudgy area growing over time. How do people handle this? Especially with a light colored linen. What a beautiful and big room! Lucky girl!! I especially love that built-in corner desk - such a great spot to do homework, etc. Looks like the bedroom has high ceilings, so a taller headboard would be lovely. I like the white linen option, Holly. Every room that I've ever seen you post…whether it be the porch or your daughter's room in progress is a true work of art! Your taste is impeccable and I so admire that! 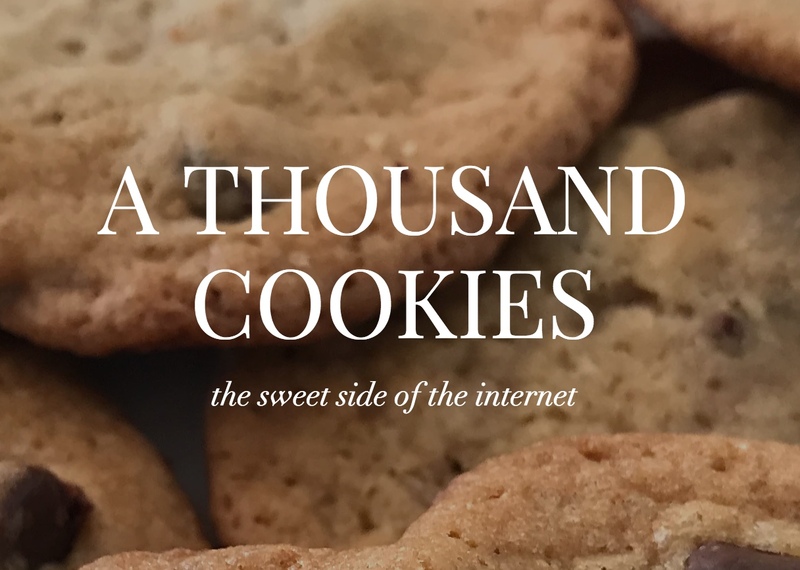 So glad I found your blog a long time ago…you are such a great inspiration! headboard upholstery. Or - the blue of the trim of the roman shades (again, w/white piping/button detailing?!). Beautiful, serene space--I look forward to seeing the final product! This is one fabulous space, my word. The built-in corner desk is just an amazing element in the room, nowhere near as intrusive as a standard desk would be. The color palette is so understated, it allows for lots of options. The squared-off headboard is the most appealing to my uneducated eye, but I also echo the cautionary note about maintenance, having dealt with it personally. I have to tell you, I love-love-love what you have done with the room thus far! I would choose an upholstered headboard done in a velvet rather than a fabric with a flat finish. You can get one with a lowish nap but it will still provide some shade variation that will be good for hiding dirt and wear. Some "performance" velvets even come with a Crypton finish and still have a great hand. What is the name of the area rug pattern, please? I love it! No one commented on the bed itself. I believe it needs something to cover the metal legs of the frame. Perhaps a tailored bed skirt in blue to match the tape on the roman shades? Another idea would be for the bed skirt to be made of the same fabric as the headboard. I noticed the lack of an ottoman or footstool for the chair. That is always a wonderful addition in a bedroom to make reading more comfortable plus the ottoman makes a great place to sit while putting on shoes and pantyhose.